Tomato, double cream and medium fat soft cheese sauce with sugar and sweetener. 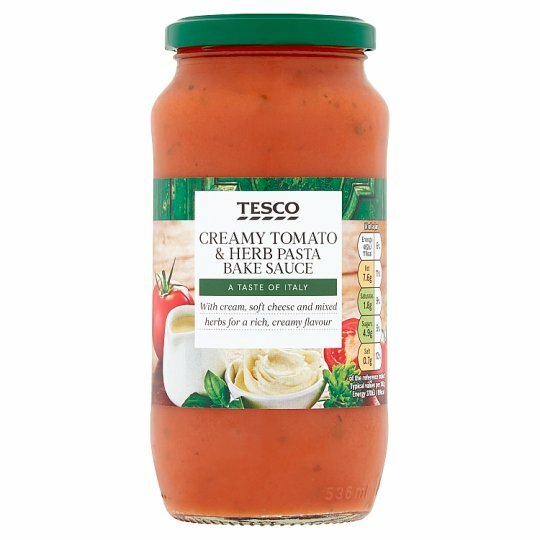 Tomato Purée (75%), Tomato (4.5%), Rapeseed Oil, Water, Double Cream (Milk) (3.5%), Cornflour, Medium Fat Soft Cheese (2%), Sugar, Onion, Herbs, Salt, Acidity Regulator (Citric Acid), Stabiliser (Xanthan Gum), Garlic Powder, Firming Agent (Calcium Chloride), Sweetener (Steviol Glycosides). Medium Fat Soft Cheese contains: Cheese (Milk), Sea Salt.